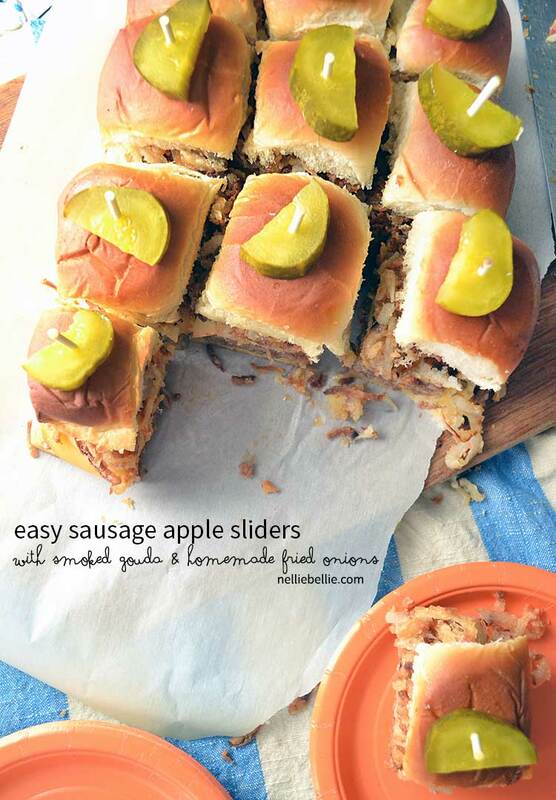 I made these delicious sausage apple sliders using Johnsonville® as part of a sponsored post for Socialstars, but of course, we only use products we love and think are delicious. And you all; this sausage is great! #MeatballMasters Find our full disclosure here. Uffda, that is quite a name! Y’all, there is no way to properly put into photos how GOOD these sausage apple sliders are. They are really, really great! When I say great, what I really mean to say is fantastic, superb, outstanding, and out of this world. All the adjectives. Best part; they are easy! Oh how I love those two adjectives together…great and easy. It’s like coffee and morning or cake and frosting. Let’s pause here for a few moments to address the second of our quick tips to get these sliders on plates FAST. Sausage. Specifically Johnsonville® ground sausage. They have great slabs of sausage that work perfectly for these! Pull out a sheet of aluminum foil, flip an entire slab of pre-seasoned ground sausage on to the foil, flip a second right next to the first, squish them together a bit, and bake. 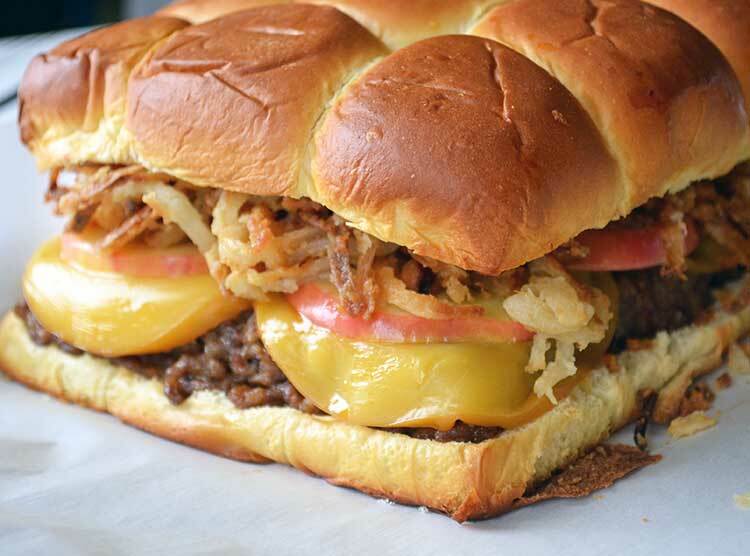 One big, giant slab of meat for your sliders. No need to flip little tiny burgers. No sirree…we are going to get all 12 sliders done lickety split! Now comes the assembly. It’s just a little game of layering. 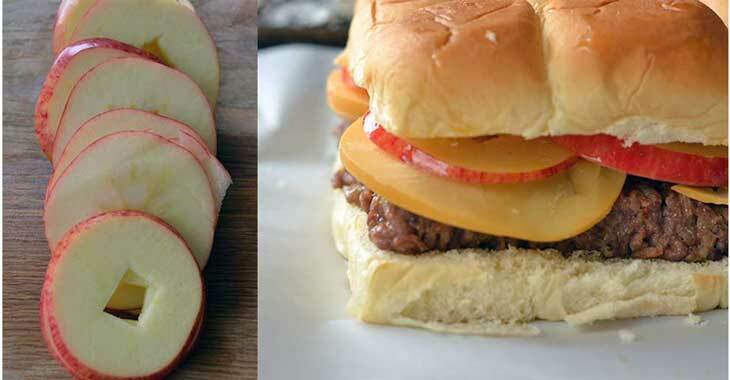 The slab of pre-cooked sausage goes down first, followed by slices of smoked gouda cheese (really…smoked gouda is the PERFECT pairing for the apples and sausage), sliced and cored Honeycrisp apples, and then the bun tops. 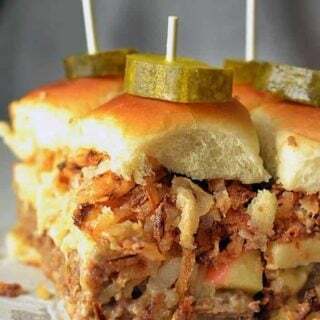 It’s important to put those apples on the TOP and not the cheese or you will have a heck of a time taking the bun tops off to put on your friend onions. Oi! Your apple needs to be a crisp, tart apple with a great skin (unless you feel like peeling an apple? But really, who needs that extra step?). We use the MN favorite…Honeycrisp. Prior to layering it I coat the apple in a bit of the grease from the sausage. I know, it sounds a bit much but the apples really need that bit of oil to get them cooking and softening in the oven. If you don’t want to use the hot grease try a quick shot of cooking spray or brush of olive oil. After you get those all layered you are going to pop all of this in the oven for about 15 minutes to get that cheese all melty, the apples soft, and the bread toasted. Have you ever tried making homemade french onions? 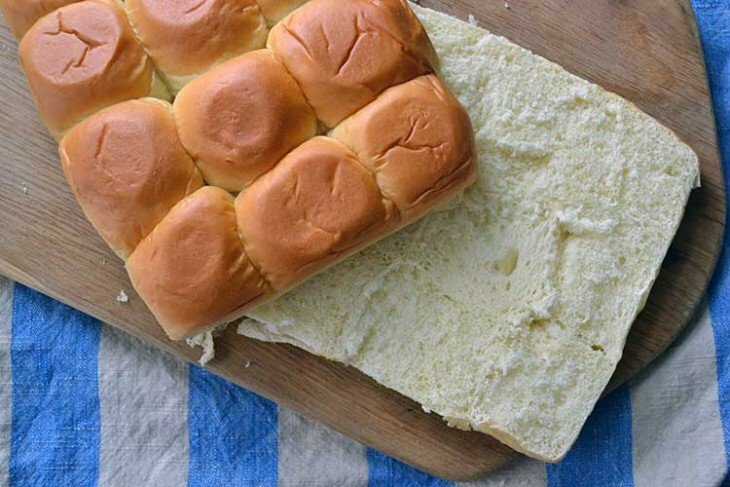 For these sliders, it’s worth the effort. You can skip this if you like and use purchased fried onions or even onion rings. 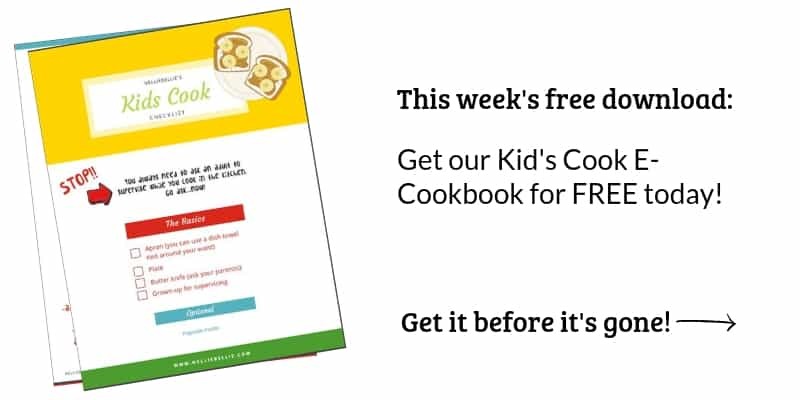 Try the homemade version, though, you’ll be so proud of yourself! 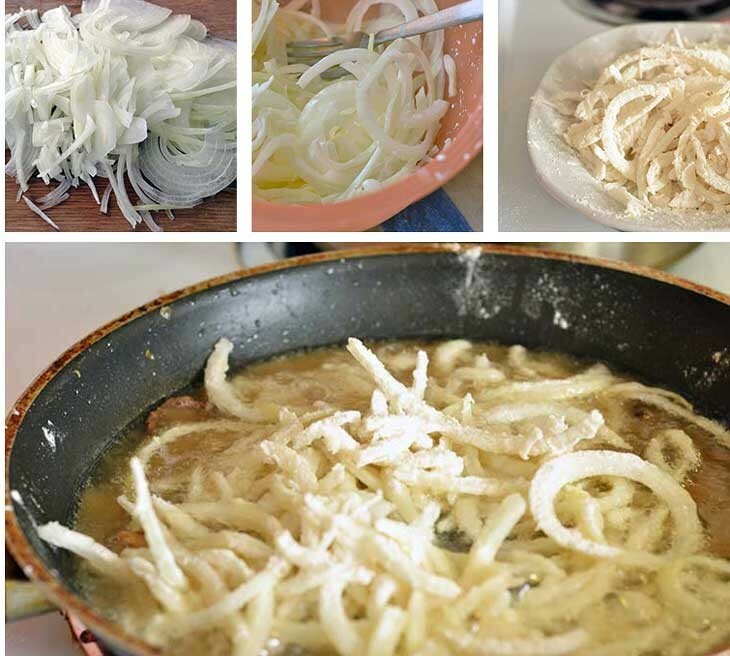 The key to great fried onions is hot oil and soaking your onions in cream for many, many minutes prior to frying. Coat the milk-soaked onions in flour, drop them in the hot oil, and leave them be for a while. Flip them over only when they are good and fried. Really, really refrain from checking and checking or stirring and stirring. You’ll get a gooey mess. Remove the top of your buns (this is the part where you are very, very glad that you put the apples on the top and NOT the cheese), and pile on the onions. I know!!! I’m drooling too, and I’ve just eaten (p.s. — to all the future food bloggers of the world, eat before you write posts. It will save you many pounds of unwanted weight. Promise!). 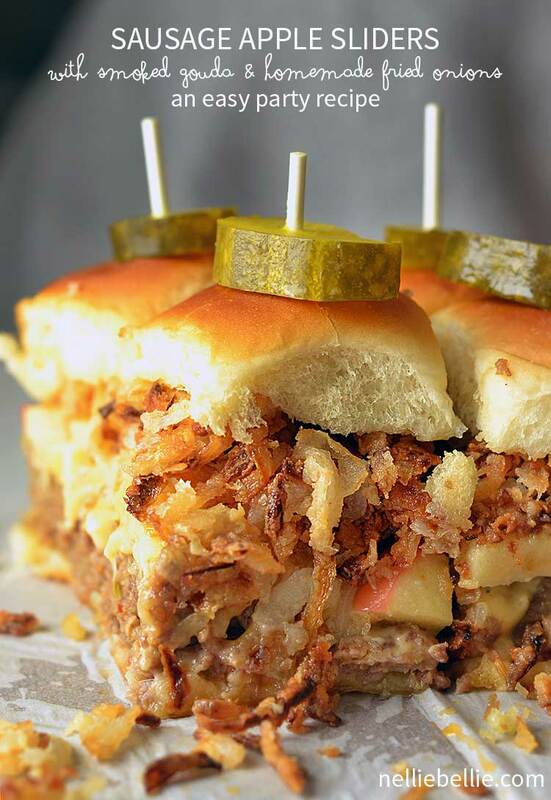 The combo of the sausage, apple, gouda cheese, and fried onions is absolutely out of this world delish!! Toothpicks (or cake-pop sticks) and pickles. Now all you need to do is cut those apart into individual sliders and serve. We recommend serving them with barbecue sauce, although that is absolutely not needed but some of our tasters liked the addition. 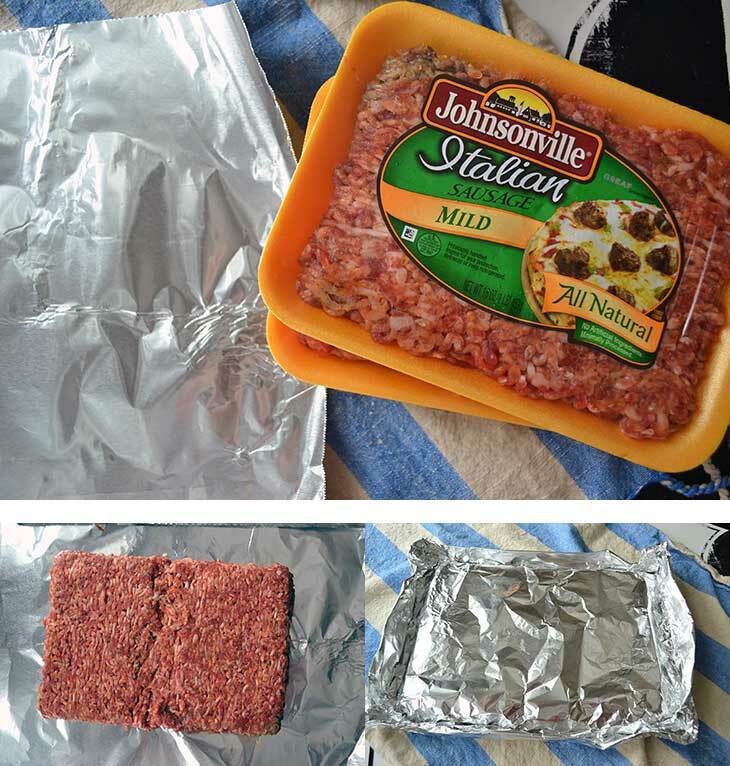 Place both packages of ground sausage side by side on a piece of heavy-duty aluminum foil. Press the center together to form the two into one large piece. Wrap up the sausage all the way in aluminum foil, place on baking sheet, and bake at 375 degrees for 25 minutes or until center is cooked. Meanwhile, soak the sliced onion in the cream for at least 5 minutes. Heat the oil in a skillet at med-high heat. When the oil is hot, coat the cream-soaked onions in the flour and drop into the hot oil. Cook on both sides about 2 minutes (or until golden brown). Take out of oil and place on plate lined with paper towel. -Place the cooked sausage on the bottom of the sliced rolls. -Top with the sliced cheese. -Brush the apples with sausage grease and place on top of the cheese. -Cover with the bun tops. Bake for 15 minutes or until the cheese is melted and the buns are golden brown. 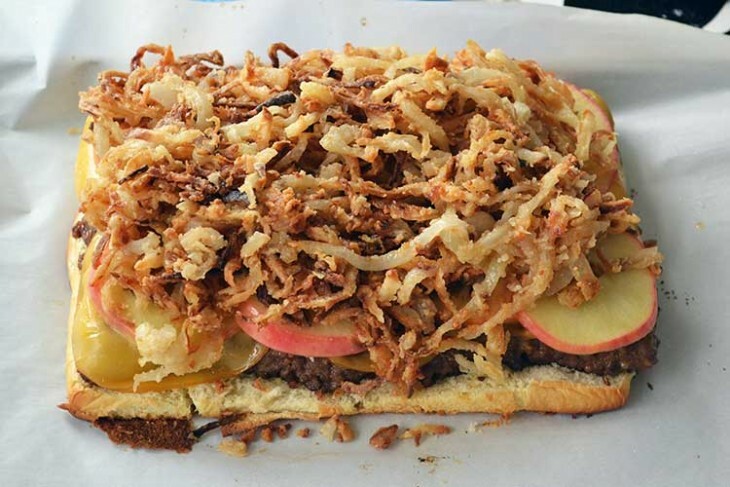 Remove the bun tops and pile on the fried onions. Replace tops.